“Tend Your Garden.” This phrase keeps popping up in my life lately, in conversation, books, and in magazines. Tend your art garden, tend your soul garden (self-care), and literally, planting and tending to flowers and herbs. It seems appropriate this time of year, with Spring and soul renewal. With Spring cleaning and busy schedules, there are so many thing to tend, but as my best friend reminds me, as they say on planes, “put on your own oxygen mask first, so you can help others.” This is hard, sometimes, as it feels selfish to take time for hobbies when laundry and dishes are piling up like a Shell Silverstein Poem, but it isn’t good, either, when the house is immaculate, but the creative well feels empty. My floors are always clean, so our little one can crawl and not get gritty hands or eat dust bunnies, but today, Mama needs some Mama time. Sarah Cynthia Sylvia Stout Would not take the garbage out! She’d scour the pots and scrape the pans, Candy the yams and spice the hams, And though her daddy would scream and shout, She simply would not take the garbage out. And so it piled up to the ceilings: Coffee grounds, potato peelings,… it goes on, but you get the point). So, today, like Sara Cynthia Stout, I did not take the garbage out. 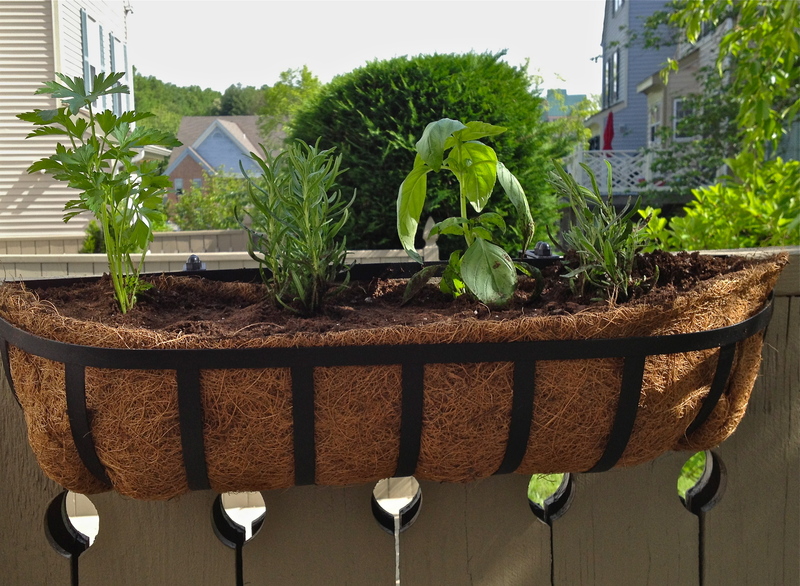 Instead, I bought a window box for the balcony, and filled it with baby seedlings of rosemary, basil, parsley, and lavender. Gardening is not my strength, but this was a simple project, and it felt good to touch the potting soil and smell the earth, nestling the roots into their new home. The contrast of bright green stalks against the black dirt is pretty. 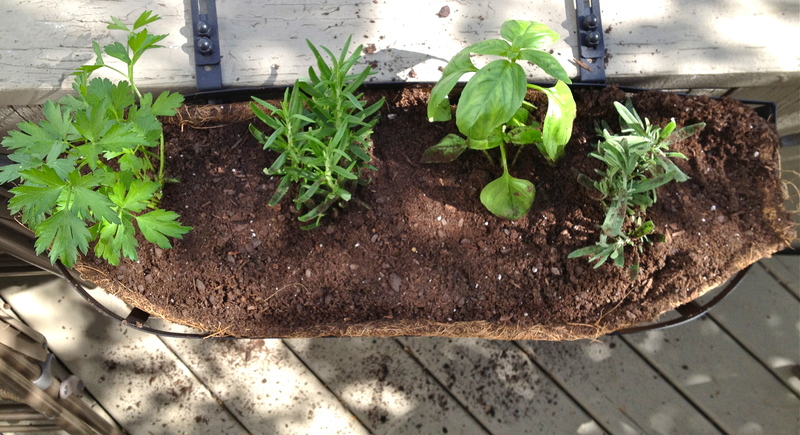 I’ve watered and tucked them in securely, and hope nature will help them to grow. And, to tend my art garden, I signed up for an on-line mixed-media art course with Jeanne Oliver, one of my favorite artists. Whatever your week is like, may you remember to put on your own oxygen mask first, and tend to the garden of YOU.